EEVblog #1092 - Wi-Charge IR Wireless Charging - Fact or Fiction? 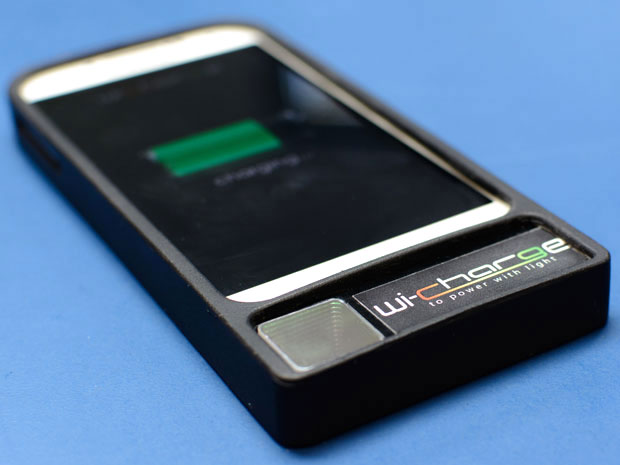 Running the numbers on the W-Charge Infrared laser wireless charging system, does it work?, is it practical?, what is the efficiency?, how much power can it deliver?, is it dangerous? And the laser power is HOW MUCH?! CORRECTION: The laser output power was stated incorrectly, it was assuming the input power to the laser when it should have been the optical output power. The correct number for a 45% solar cell and zero other losses is 11.1W laser power, not 18W. Still the same class of laser and just as dangerous. In response to the Linus Tech Tips demonstration. Also some talk on the Energous RF Wireless energy boondoggle. Re: EEVblog #1092 - Wi-Charge IR Wireless Charging - Fact or Fiction? I hope this charge-system gets available for a good price here in Europe. It starts to get really hard to get other laser then simple laser pointer as a private person thanks to some idiots which decides to point them to landing / starting planes. The lasers and laser driver in the charger would be nice to cut & engrave wood and perhaps thin sheets of steel. It would extreme hard to focus the beam longer then a few mm. Maybe stupid question, but does the unit contains one '20W' power diode or maybe several smaller ones? It does not mention that the 5W is per device by 1 diode. Unlike with visible laser diodes, extremely high power IR laser diodes are relatively affordable. $300 can get you a 10W solid state IR laser diode and ive seen well over 50W available. They are super dangerous though, you get no warnings or 2nd chances, one reflection and you are blind.. for the rest of your life. The problem isn't the price. The problem is to get them through the import customs. The block nearly all laser and periodically even LED's which are coming from china. Till now England was a way to get parts which otherwise get blocked at customs. But they decided to don't play with us anymore. I did a little skimming of the patents, which are very interesting. According to the patents, is not using a regular laser diode at all but rather a "freespace" lasing system, that is the laser cavity is formed between the transmitter and the receiver (both of which have retroreflectors). Remembering that "laser" stands for "light amplification by stimulated emission of radiation", that is in this system, light emitted from the transmitter is reflected by the receiver, then reflected & amplified by the transmitter, repeatedly. This is a very smart idea since it means that anything interrupting the beam stops the lasing directly. Additionally they can use it with some adaptive optics to focus / track the receiver. Theoretically multiple transmitters could be employed, afaict, since retroreflection would allow each to operate independently (though I wonder about interference?). The biggest issue of course is if some proportion of the light is scattered or reflected away from the intended optical path. Like Dave pointed out it all seems a little overkill for charging mobile phones, but there are likely real applications in other fields (sensor networks? micro-satellites?). They block laser pointers, not products that contain lasers. Otherwise you wouldn't be able to buy any DVD / Blueray writers which contain 400mW lasers. Or superfast laser printers with high power diodes. Ans good luck, getting a complete laser cutter with all its paper work as a private person through imort customs. A button cell is enough to refuse import. Isn't a exact matching length between the mirrors needed for the laser to work? Even if they can make this safe and usable, it won't be cheap enough to become mainstream. I can't even think of a niche application for it but maybe there is one. This is hard to believe, both because the receiver looks like a simple solar cell and because it would be extremely difficult to maintain alignment of the laser cavity, especially on the moving train demo. If I were to built a system like that, I would have a low-power flashing IR photodiode, like they use in remote controls, installed in the receiver. The base unit detects this light and uses it both to align the IR laser and as a safety feature. If the IR modulated signal gets blocked, the laser is immediately shut down. This could be done in less than 1 microsecond and so would prevent somewhat the laser getting scattered when something shiny blocks its path. My previous reply to that part was quite simple! You could be right! The IR could be coded so that you don't get burnt fingers every time you change TV channels. Good #1092 video, problem is there's now 6 separate threads on this thing. I'd assume that "total power delivered" means the total power delivered across the complete lit area. For safety reasons they have to widen the beam anyway. 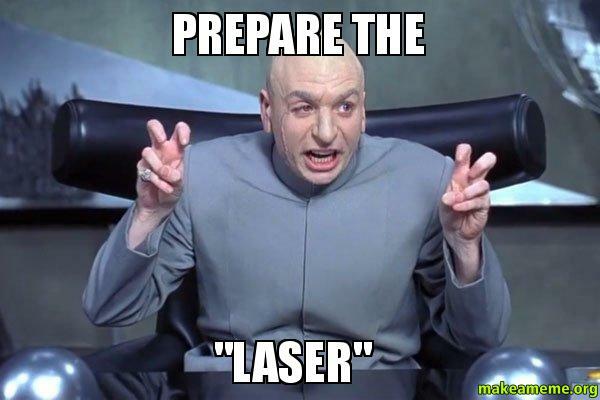 Laser class 1 and 1M are fine for consumer stuff, but any higher class would involve a lot of safety regulations. Still, as nearer you get to the laser source as narrow the beam will become. With tracking the receiver to send a narrow beam for maximum power transfer they would exceed Class 1(M) anyway. I have strong doubts that they may sell the Wi-Charge to consumers, and also about the efficiency. If my assumption about the delivered power is right we would be talking about <0.1%. If they can get the power up a bit higher than 5W, it might be useful for long endurance personal mini drone cameras. Run it off a small ultracap, and make them tiny. Right now some of the nano drones run around the 10-30W range. This Charger would be the ultimative "TV b gone"
Imagine a charger like this in an consumer electronic market. Class 2 laser classification is drawn at 1mW. Even at that power level, it assumed that the blinking reflex of the eye prevents long exposure. When you suppress that reflex then damage could appear. Unfortunately the eye reflex doesn't work for infrared, so you're directly exposed. I wouldn't though any infrared laser without a good pair of laser glasses. If they are transmitting a couple of Watts of light continuously out and 1mW is the safety threshold, then just a reflection of 1:1000 power is enough for some serious trouble. Basically anything that does not create a diffuse reflection is a problem. Maybe they use the most diffuse laser beam they can get away with, but I highly doubt given the very small area of the device light panels. I agree with the argument in the video. This seems to be an excessively expensive, complex and potentially dangerous solution that is solved with a 20$ powerbank and a simple charging routine. Or just put a freaking outlet where you need power. They have to be doing that to deliver 5W continuously, it's a basic law of physics. In fact it's likely in the order of 20W optical power at least. They have basically admitted to me it's at least 11W optical. And that's another thing I forgot to mention in the video. The patent mentions retroreflectors, and a previous prototype does that, but I'm not sure if the latest one does. Their entire concept from day one was doing away with one mirror in the traditional laser cavity and using the retroreflector in the receiver to complete the cavity. i.e. it becomes an "external cavity" laser. The idea is that if you break that external cavity beam, the laser effectively automagically shuts of instantly. Scatter is still a major danger though. Semiconductor lasers have a large intrinsic gain so they would emit a lot of spontaneous emission light even without a cavity and even if they have a very high quality anti-reflection coating on the output facet. One would only get a factor of 3-5 reduction in power when the retroreflector is blocked, not much more. I don't think anyone believes an "external cavity" laser exists, I certainly don't. I've watched the linus vid again closely, I think there's a chance it's faked!